It would have been a really good confidence building measure had NATO said it would cancel its military exercises in Ukraine later this month, Political analyst Aleksandr Pavic, told RT. RT:So signing up for decentralization of power - that looks like a big concession for Kiev. Earlier it was determined to crush the unrest in the east, branding it as terrorism and separatism.Why this change of tune? Aleksandr Pavic: The main reason is because their military campaign did not succeed. Instead of crushing terrorism as they said they almost got crushed themselves. I think that is the key to why there was a willingness to sign this ceasefire. They were suffering losses. And I think this helps Kiev much more than it helps the self-defense forces in Lugansk and Donetsk. Otherwise, Mariupol might have very well fallen into their hands as well by now. RT:As we've heard the ceasefire is at risk now, with fresh shelling erupting in the region. Will the truce last? AP: I do not think so, because it has already been broken and also the wording is pretty vague. It would take a lot more, we would need to have verification agreements, we would need to have details, and we would need to have a precise schedule, which is responsible for what. We do not have that. I think the main result of this ceasefire agreement is that it showed the willingness of at least some people in Kiev as well as people in Donbass to reach a peace agreement. Unfortunately we have much more radical strains especially in Kiev, and unfortunately this NATO summit did not help things at all. One thing that is missing from the agreement like this one is actually NATO itself. For example, it would have been a really good confidence building measure had NATO said that it would cancel its military exercises in Ukraine later this month. But they are going ahead on schedule which is only going to give encouragement to the radicals in Kiev. 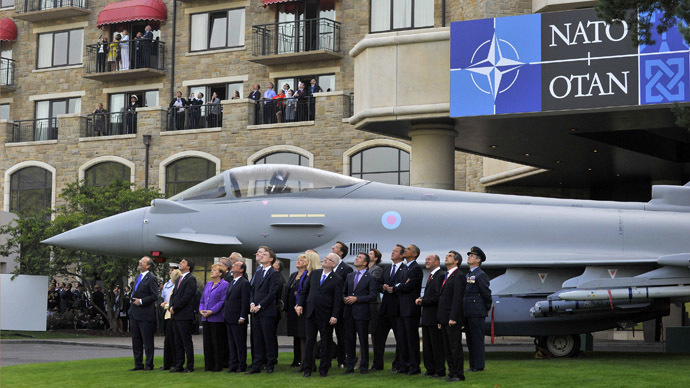 So that is what we are lacking right now, a clear sign from NATO that they really want peace. If they would just cancel or at least postpone the military exercises in Ukraine than there would be a step ahead. RT:Months of violence have devastated the region. How will Ukraine manage to rebuild all the region's infrastructure? Is it possible to do without any external assistance? AP: They cannot – the country is almost bankrupt, technically is bankrupt. The only way for Ukraine to pick itself up, especially the eastern parts, is [having] tighter economic relations with Russia. Without that their economy is going to totally crumble. Unfortunately what we are seeing from the EU and from the West is precisely efforts to sever ties between Ukraine and Russia. Unless you can open up the Russian market to products from Ukraine and to Russian investment in Ukraine itself, Ukraine is going to be a basket case and in fact the only good business that we are going to have there is war and that is the most unfortunate thing.